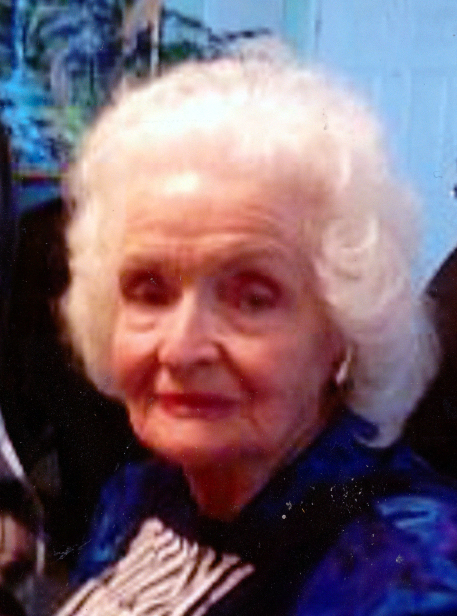 Obituary for Anna Eileen Smith | Price Funeral Chapel, Inc.
“Blessed beyond my wildest dreams!” Eileen was a 4 pound ‘preemie’ born in St. Anthony, Idaho. She adored her parents, Joseph Levoy and Emma Blaser Sorenson, and was the 2nd of 7 children. She lived in California most of her life. She passed on Wednesday March 27th at her daughter Suzanna’s home from causes incident to her age. She described her life as “charmed”, but she did have 9 near-death experiences. She grew up in Yuba City where she suffered life threatening illnesses and injury. As a child during the Great Depression, she was grateful for her 2 dresses and a nightly bowl of beans. Her life and health improved in her “terrific teens” when her family moved to Lincoln, CA. She loved her friends, playing clarinet in the band, being elected to Girls’ State and student body offices, being salutatorian, winning speech and typing contests and garnering recognition for her involvement in church youth programs. Her close relationship with God became a daily part of her life. She met her sweetheart Willard C. Smith at age 14 and they were married when she was 18, in March 1941. While Willard was in the navy in WWII, she was a 23 year old holding down the home front with 3 children and expecting a 4th. Eileen and Willard lived in Fair Oaks, CA where they raised 6 children. They moved to Placerville in 1978, where Willard built their 4th home. Eileen and Willard are well known for their love and devotion to each other’s happiness. They were married for 78 years. Eileen ran a restaurant on Saturday’s for 10 years at the Roseville Livestock Auction Yard, then devoted herself to her gift of teaching, influencing thousands! A highlight of her life was when she and Willard volunteered for church missionary service in the Philippines (1979-1981). They loved the people and the work, making lifelong friends. Eileen taught early morning seminary to 100’s of high school sophomores (including all 6 of her children) over 18 years and taught piano lessons for 22 years. She also taught church classes to adults and youth throughout her life. She knew the power of good music and taught her grandchildren songs that they would perform at church events. To her 41 grandchildren she is beloved for making them feel adored, for her hugs, compliments, “goody box” treats, piano lessons, and arranging play days at the playground Willard built at their Placerville home. Beloved wife of Willard Smith. Loving mother of William Smith, DeAnna Sudweeks, Suzanna Welton, Lowell Smith, Steven Smith, and Kathy Elledge. Grandmother of many grandchildren, great-grandchildren, and great-great-grandchildren. Sister of James Sorenson, Emma Jean Haight, and Joy Armstrong. Friends and family are welcome for visitation on Wednesday, April 3, 2019 from 9:00 - 9:45AM, with the funeral service commencing at 10AM, all at The Church of Jesus Christ of Latter-day Saints (3275 Cedar Ravine Road, Placerville, CA 95667). Interment at 2PM at Fair Oaks District Cemetery. PRICE FUNERAL CHAPEL (6335 Sunrise Blvd., 725-2109), directors.